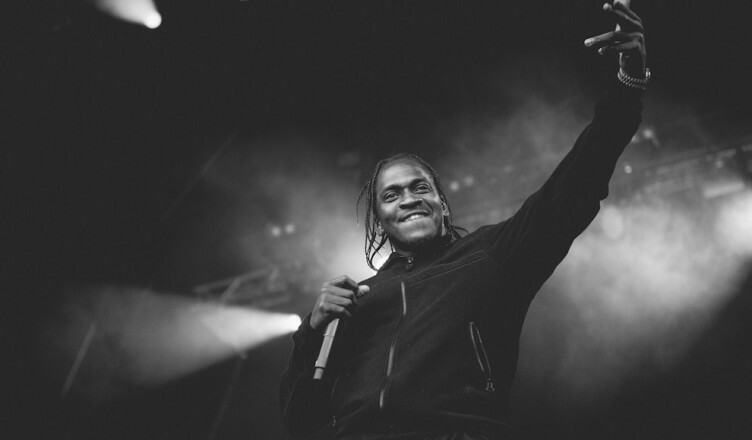 Drugs have always been a prominent topic in hip hop, but few artists match the lyrical ‘dope density’ of Pusha T – particularly when it comes to crack/cocaine. Drugs references are dominant throughout Pusha T’s discography, so much so that he’s earned the nickname ‘King Push’. 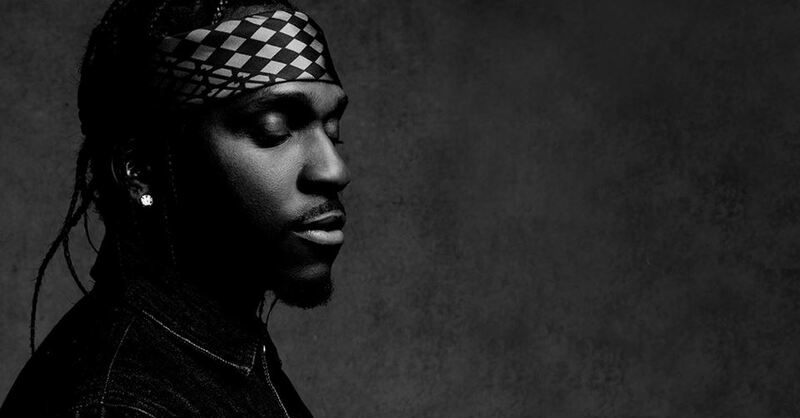 This begs the question: is Pusha T truly the ‘King Pusher’ of all hip hop? In an industry saturated with drug hustlers and drug users, Pusha T is in a league of his own. Pusha’s reliance on crack-rap is legendary and has spawned not just memes, but an underlying sense that he’s incapable of crafting a coherent and breath-taking verse without dropping a few bars (or 30) about pushing dope. The numbers have been crunched, analyzed, and compared. Let’s take a look at the definitive stats on King Push’s lyrical addiction to the dope game. 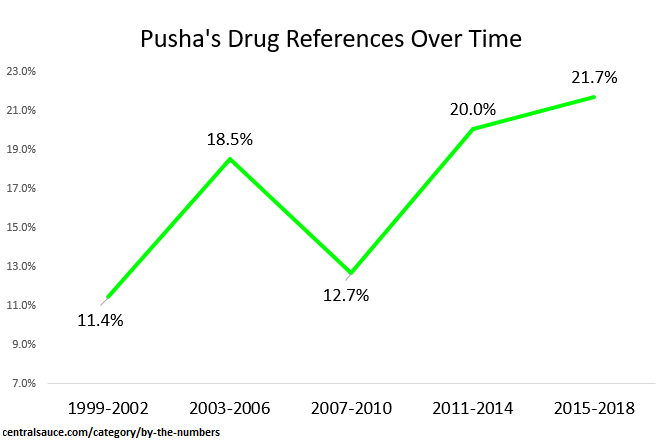 This analysis counts the number of lines Pusha T has delivered as both a solo and lead artist, and then counts how many of those are devoted to drug references. 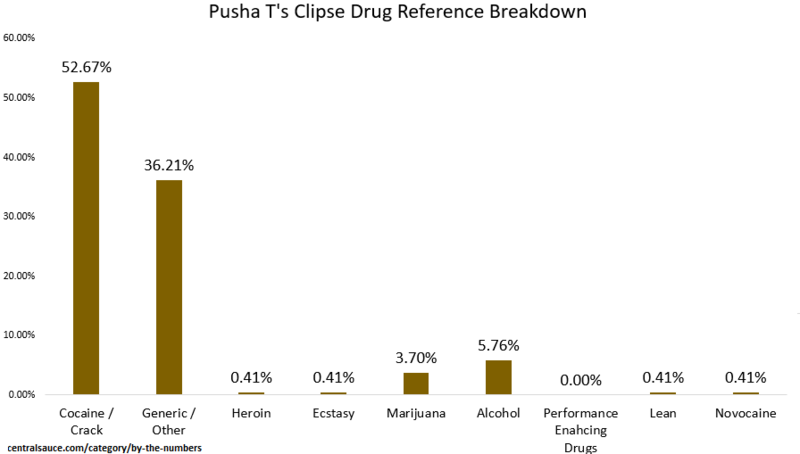 Our findings: an astounding 1 in every 5 of Pusha T’s bars has a drug reference. 55.87% of Pusha’s drug references are about cocaine or crack. White girl isn’t just Pusha’s most referenced drug, it dominates his lyrics. As a solo lead artist, he’s devoted a total of 257 bars to crack/cocaine. 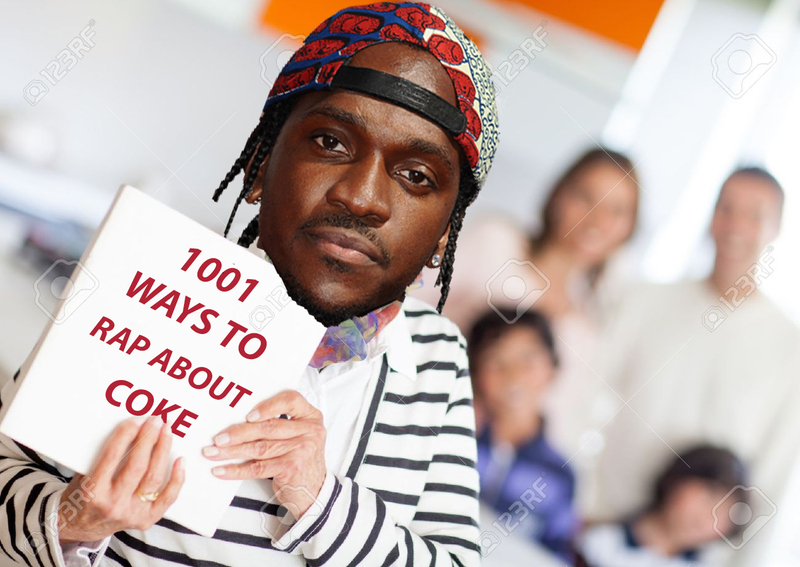 Pusha gets creative with his references, with detailed descriptions on how to cook crack, punchlines around his cooking process, and brags that centre on his legendary cocaine dealer status. Crack/cocaine accounts for a whopping 11.1% of Pusha T’s total bars. 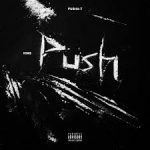 As a solo lead artist, Push has spat 2305 bars across 63 different songs. 257 of those bars are devoted to crack/cocaine, so 1 in every 9 of his bars is a reference to crack and cocaine. Talk about a fiend. This category includes references to hustlers, “dope dealers”, moving weight, and generally any kind of mention of drugs without defining a specific type. 178 Push bars fall into this category, significantly more than any other specific references outside of cocaine. Any drug reference that doesn’t fit in a category goes in here. Rarely does Pusha T step outside the realm of cocaine when talking about a specific drug. Surprisingly, common rap topics like marijuana and alcohol barely feature. Just 13 of his bars throughout his career are devoted to alcohol, with a measly 6 bars dedicated to marijuana. Heroin gets 2 bars (both on “40 Acres”, as “tar” and “poppy”), as does ecstasy (“molly” on “Paid” and “E” on “Cook It Down Freestyle”). Pusha T’s 2015 track “FIFA” has a single Performance Enhancing Drug reference, and Push raps just once about Lean, on “Raid” (‘Lean’ in this case could be both a reference to syrup or simply a fiend leaning). Perhaps most surprisingly, there are no overt mentions of drugs like Xanax and Percocet anywhere in Pusha’s solo discography, despite the two having littered mainstream rap this decade. In 1999, Push mentioned drugs on 5.8% of his bars. Most of his bars on the unreleased Clipse album Exclusive Audio Footage are violent descriptions of what happens in the street. No Malice, Pusha’s partner in Clipse, is similarly restrained with just 8.4% of his bars devoted to drugs. It’s possible both No Malice and Pusha T still had one foot in the streets at the time, and thus were hesitant to mention their activities for fear of reprisal. Certainly, the further Pusha got away from this life, the more liberal he was with referencing it. His 2015-2018 peak of 21.7% means a there’s a drug mention every 4.6 lines – a prolific figure, especially in an era where drug use far outstrips drug dealing in mainstream rap. Clipse is the group Pusha began with his brother No Malice, way back in 1992. In 2001 Pharrell brought them to Arista, and helped launch their mainstream career with 2002 album Lord Willin’, which included “Grindin’”, a gritty, aggressive track mired in drug culture. Thus, Clipse was launched. Yet, as a member of Clipse, Pusha raps about drugs just 13% of the time. 52.67% of these references are to cocaine, while 36.21% are generic references – both down in comparison to his solo discography. Both takeaways are worth analysing, begging the question: Does Pusha T rap about drugs more or less when he has a guest on his track? No Malice and Pusha T seem to mirror each other on Clipse projects, although No Malice raps more about crack/cocaine than Pusha, at 61.7% of total drug references (Push is just 52.67%). So, does Pusha change when he has a guest on the track? With a guest on the track, Push raps about drugs less than when he performs solo. The diversity of his guests may contribute to this. 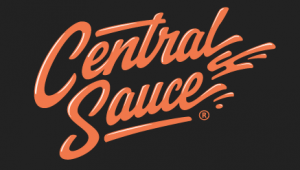 Whilst he has worked heavily with notable drug-referencers, including Rick Ross, Jay-Z, Future, and Travis Scott, he’s also enlisted artists like The-Dream, Kehlani, Kanye, Kelly Rowland, and Wale, artists who find content outside of drugs. This data was collected from 38 of Pusha’s guest spots from 2016-2018. This figure is significantly lower than what he delivers as a lead artist, although the references that make up this figure (66 bars devoted to drugs) are consistent with his normal output: 52% is crack/cocaine, 40.9% is generic drug mentions. Context: How Often Do Other Rappers Mention Drugs? Without larger context, Pusha’s numbers are hard to wrap your head around. How does he stack up to other artists notorious for their drug-related content? The above section on Clipse shows that, while No Malice raps as often as Push does about drugs on Clipse projects, Pusha raps more often than No Malice overall – especially as a solo artist. Jay-Z’s Reasonable Doubt (1996), a mafioso-style debut record from the artist Pusha invited to rap on 2016’s “Drug Dealers Anonymous”. Jay’s past as a hustler is now legendary, and his debut record was the most raw and unfiltered he’d ever been about it on a full project. Jeezy’s Thug Motivation 101, the 2005 debut record from “The Snowman”, a title he earned through hard grind in the streets, a hustle that transferred to his rap career. This album is considered a classic by some, and includes the “hustler anthem” “Go Crazy”, featuring a verse from Jay-Z. Future’s DS2 (2015), representing a different approach to drug referencing. 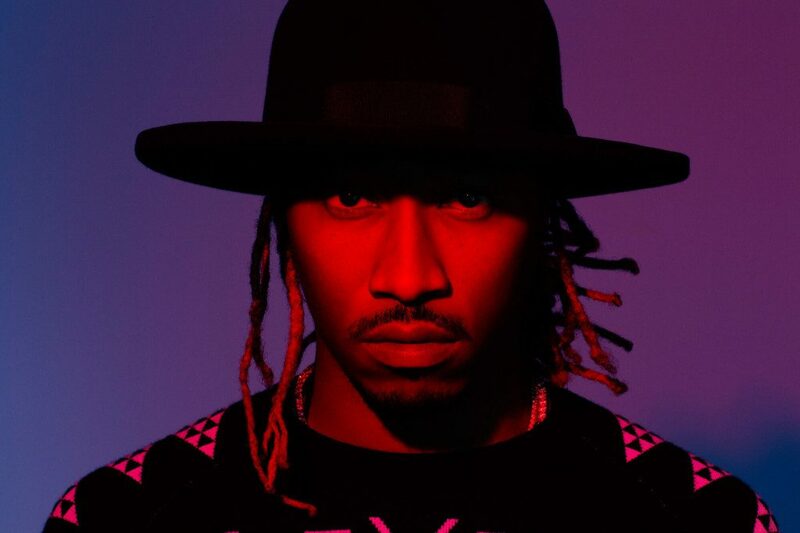 Future’s lyrics rely less on dealing and more on consuming drugs. The title is an homage to lean, and his syrup-soaked vocals and bars about the desperation of being an addict and a dealer could be considered peak drug saturation on an album this decade. Within our three selected albums, none can out-dope Pusha T. The closest is Future’s classic drug-heavy project DS2, famous for its abundant references to Xanax, Percocet, Oxycontin, Codeine, and a variety of other drugs generally described as “pills”. Jay-Z, a noted crack/cocaine referencer, only devotes 42.1% of his drug bars on Reasonable Doubt to Pusha’s favourite topic. 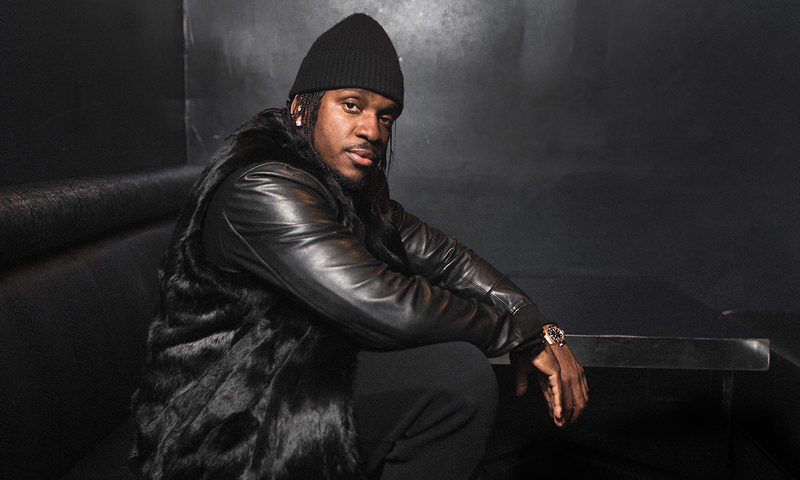 Even Jeezy, “The Snowman”, cannot out-crack Pusha T: 49.3% of the drug references on Thug Motivation 101 are devoted to crack/cocaine, falling short of Pusha’s muscular 55.87%. What does this mean for Pusha T’s new album Daytona? Judging solely by Pusha’s rising amount of drug references over time, Daytona should be Pusha T’s most drug-heavy project yet. Prepare to get your dope on.